Last year, the streaming giant Netflix announced it was bringing another beloved TV series back from the dead, with a revival of the critically-acclaimed British show Black Mirror. Original series creator Charlie Brooker is coming back to write the new episodes, and serve as co-showrunner with Annabel Jones, with new cast members Bryce Dallas Howard, Malachi Kirby and Alice Eve already on board to star. Today we have word that the show's creative team has a new edition, with 10 Cloverfield Lane filmmaker Dan Trachtenberg coming aboard to direct an episode of the series. Netflix has ordered 12 new episodes of Black Mirror, all of which will be written by Charlie Brooker, although no details have been given regarding the story. 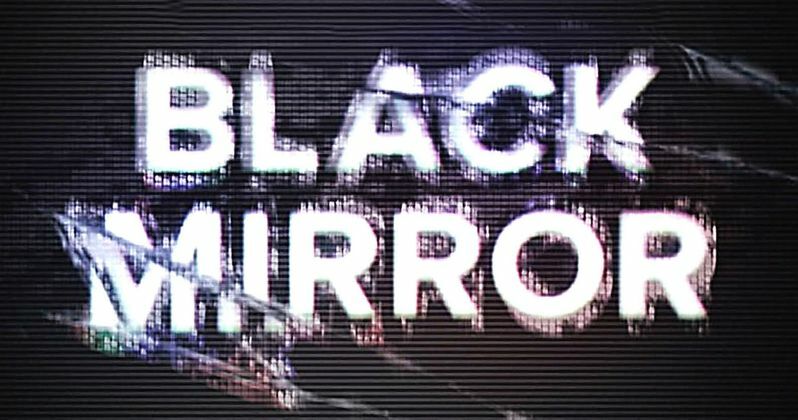 Deadline reports that Dan Trachtenberg joins Joe Wright (Pan) and Jakob Verbruggen (House of Cards), who have already signed on to direct episodes of the new Black Mirror revival. Netflix's official announcement from September claimed that production would begin in late 2015, but it doesn't seem that principal photography has started yet, with the creative team still being assembled. Created and written by Charlie Brooker, Black Mirror taps into our collective unease with the modern world and each stand-alone episode is a sharp, suspenseful tale exploring themes of contemporary techno-paranoia. Without questioning it, technology has transformed all aspects of our lives; in every home; on every desk; in every palm - a plasma screen; a monitor; a Smartphone - a Black Mirror reflecting our 21st Century existence back at us. The series has been recognized with an international Emmy Award, a Peabody Award, a Rose D'Or and been nominated for a BAFTA award. The first two seasons consisted of three hour-long episodes, with a Christmas Special also debuting in 2014. Throughout the series, each episode featured a completely different cast, including Jon Hamm and Rafe Spall, who starred in the 2014 Christmas special. It isn't known if the show will keep that same format on Netflix, with a completely new cast for each episode, but we'll have to wait and see. Netflix hasn't announced when the series may debut on the streaming service yet, so stay tuned for that. Dan Trachtenberg made his feature directorial debut with this spring's 10 Cloverfield Lane, which fared well with critics and audiences alike. The thriller, starring Mary Elizabeth Winstead and John Goodman took in $105.5 million worldwide, from a budget that was reportedly $5 million. The filmmaker made a name for himself with his popular 2011 fan film Portal: No Escape, based on the hit video game, which helped him land the 10 Cloverfield Lane directing gig. We'll keep you posted with more updates on Netflix's Black Mirror as soon as we have more information.